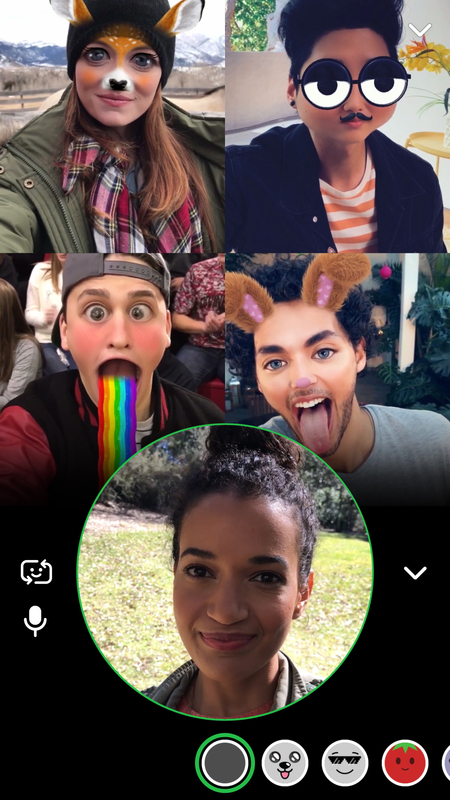 Snapchat launched Group Video Chat which will make connecting with friends and family on Snapchat more personal and more fun. 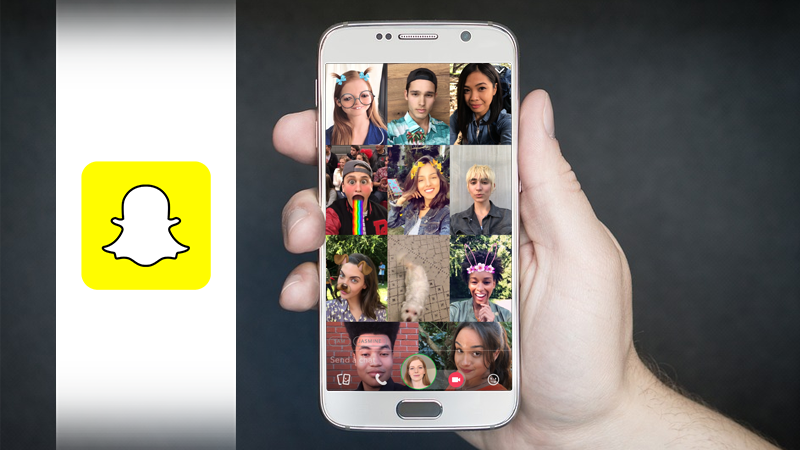 Whether you’re planning for the weekend, or wishing mom “happy birthday” with the whole family, Snapchat Group Video Chat is here. Just tap the video icon in a Group Chat to get started. Up to 16 friends can Video Chat together at the same time, and each friend will receive a notification inviting them to join the call. If your crew is bigger, up to 32 friends can join a Group Voice Chat too. Tap the phone icon in a Group Chat to kick off a group voice call. Friends have the option to join a Group call just with voice too, or toggle between video and voice, if they aren’t camera ready. And Snapchatters can have fun with face Lenses to puke rainbows ? or turn into puppies ? during their Group Video Chats. 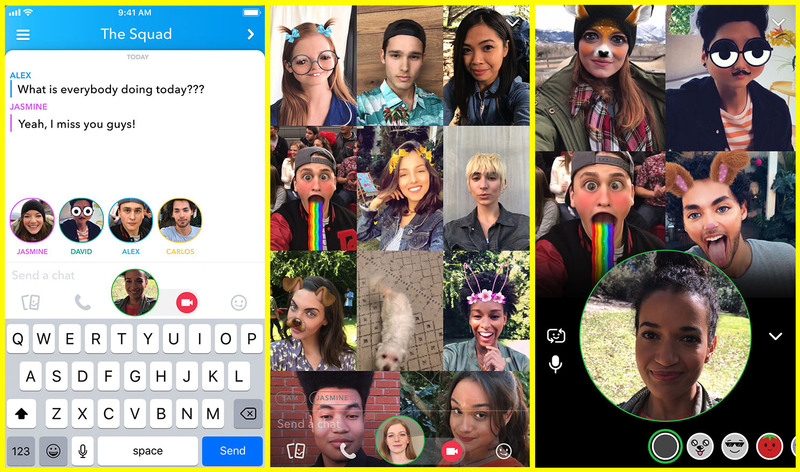 In spring 2016, Snapchat introduced Video and Voice Chat as part of a large Chat update with the goal of making catching up on Snapchat feel less like texting and more like really hanging out. For example, that’s why when a friend opens Chat, their Bitmoji pops up to say “I’m here!” — and why your Chat conversations aren’t saved forever, by default. “Our community is making millions of call on Snapchat every day, and we’re excited to introduce Group Video Chat as a new way for Snapchatters to turn any group conversation into a real-time hangout at the tap of a button,” read Snapchat’s official release. Simply enter an existing Group Chat, or create a new Group with the friends or family you’d like to see. Tap the video icon to start a live group video call, or tap the phone button to start a voice chat. Each group member will be notified that they’ve been invited to a call. When a group member opens the call, their name bubble will light up above your keyboard. This lets you know they’re on the group call, too. Further, users can let your friends know who you’re with or if you’re thinking about them. 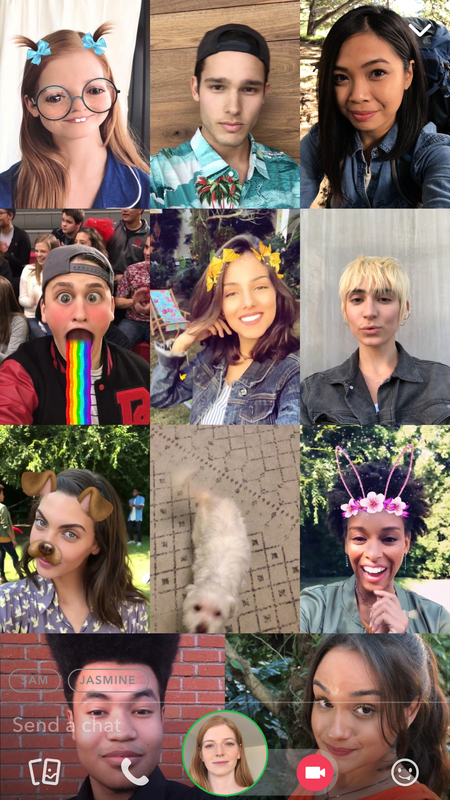 Now, you can tag friends in the Snaps you add to your Story! Start by typing “@…” and then enter the username of who you’d like to mention. In some cases, you may need to type the full username. Viewers will be able to swipe up on your Snaps to watch the tagged account’s public Story or add them as a friend. Friends will be notified in Chat if they’ve been tagged in their friend’s Story.